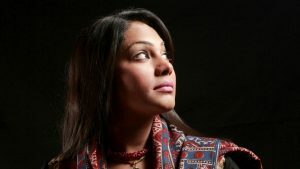 According to sanam when she was only 16 , she got married to a 50 year old man and she had a daughter from first husband but just after 1 year her husband killed by target killers. Sanam was crying while telling that her 1 year old daughter kidnapped by relatives of her late husband and they give her back after 2 years. Jab mae 16 sal kee thee to meri shadi js shakhs se hui wo 50 baras ka tha , meri beti peda hui mae bhet khush thi aor phir mere husband ko qatal krdia gaya , mere husband ne mere nam aik flat kia tha , mere in laws wo flat hasil krna chahte the aor inhone meri beti aghwa kerli der sal bad jab meri beti unhone ne wapis di to uske jisam ka koi hissa aesa nahi tha jaha per zakhmo k nishaan na ho. wo time mere lia bhet sakht tha mai aj bhi roti hu. phir meri shadi phupo ke bete se ho gi ab mere 3 bete hai aor beti meri Lahore Grammar School me perhti hai , is sal usne top kia hai. Aj mere pass seb kch hai lkn meri maa bimaar hai, shuhrat ne mjhe tanha kerdia hai. 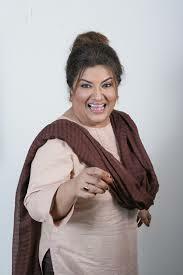 Hina Dilpazeer ‘s husband divorced her not in a state of consciousness. Before working as an actress, Hina used to work as a radio presenter. At the start, Hina used to get small roles in dramas but after doing Faseeh Bari’s project named “Burn Road Ki Nilofer”, she got her breakthrough. Now hina is famous and proud celebrity of country . Last year her son also got married. Yasra who has join showbiz back in 2010 , very few people know that she got married to a man when she was a teenager but her 1 marriage ended soon. according to her, her first marriage ended due to circumstances but she dont think that there is any fault in her in laws . 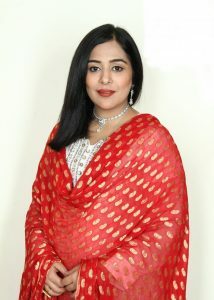 Now yasra is married to producer turn director Abdulhadi. Her sister in law is also working in showbiz. 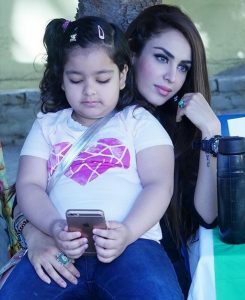 Sara is former wife of mega star Mikaal Zulfiqar, they had two daughters but 2 years back Mikaal announce on social media that he give divorce to her and after their divorce sara has joined showbiz, sara is doing dramas these days on tv. She had played lead role in theater play Angan Terha by Anwar Maqsood along with actors like Yasir Hussain , Abdullah Farhat and others. Sara has done masters in Psychology and she is taking care of her daughter these days too. 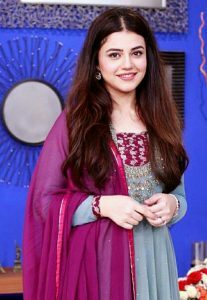 Alyzeh Gabol is a model-turned-actress who recently did a cameo appearance in 2017’s flick ‘Rangreza’ opposite Bilal Ashraf. 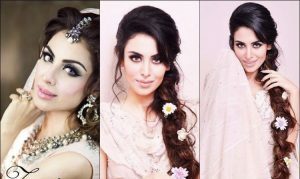 … In 2-17, Alyzeh Gabol was also nominated at the first IPPA Awards in the category of Best Model. Before becoming model she tied the knot with a guy named Osama , but her marriage ended soon. she is mother of 3 years old baby girl too. Juggan is a famous and talented actress but when she was young she got married to a guy who would tyrannize her. He abused her, after which Juggan left the guy with her son. After her divorce, Juggan stepped into the world of showbiz. Her hard work and patience paid off and today, she’s independent and successful. Juggan is relative of Salman Taseer. former governor Punjab . 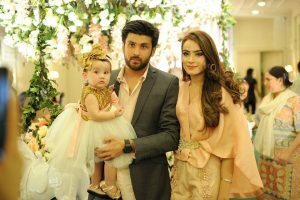 Zara tied the knot back in 2014. Unfortunately, Zara was unable to properly settle with her husband, and the couple ended their marriage with divorce. 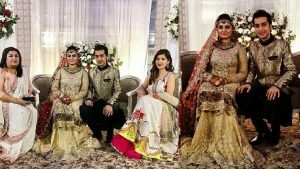 Zara kept her divorce news secret from the public, but this hidden news became open to the public when Zara Abbas announced her marriage with actor Asad Siddiqui. 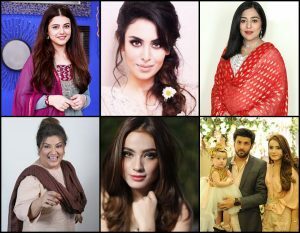 Zara is now acting in films and dramas.